They have to be in order to pretend for a living. But one actress said something incredibly strange about what Donald Trump almost made her do. The 2016 election broke the Democratic Party. They already penciled in Hillary Clinton as the winner. But Donald Trump had other ideas. The American people had other ideas. And the left responded badly. Trump Derangement Syndrome afflicted the entire left. Now leftists are in a race to the bottom to see who can be the most triggered by Trump. Everything Trump says, the left automatically says the opposite. And the mainstream media are the worst. The press is now fully committed to activism. One clear example is the migrant caravan. Thousands of economic migrants from Central America stampeded through Mexico to the United States. Trump warned of the threat while the media downplayed it. But the caravan caused trouble when it reached the border. Migrants climbed border fences illegally and caused trouble in the Mexican border town of Tijuana. The mayor of Tijuana and thousands of citizens protested their presence. But the media won’t cover the story. Hollywood lunacy is even worse. Every election, celebrities threaten to leave the country if the Republican wins. They levied this threat in 2016. 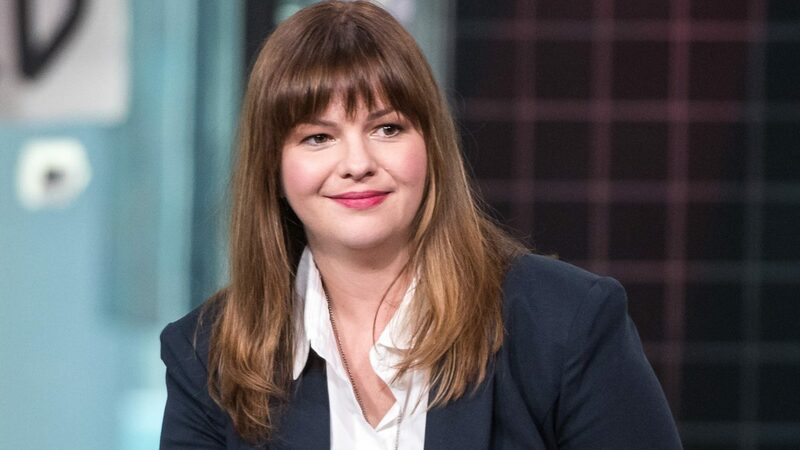 But actress Amber Tamblyn upped the ante. Tamblyn thought about actually giving away her child. And apparently, Tamblyn is unaware of the migrant issues Sweden currently has. Sadly, this is the way leftists think. They’re so narcissistic, they have no perspective. Writer Lisa Milbrand embodies this. In a piece for Marie Claire, Milbrand lamented bringing her adopted daughters to the U.S. from China. She regretted taking her daughters from a “rising power” in China. Never mind the fascist Chinese government engages in forced sterilizations and abortions. But to Milbrand and Tamblyn, America is the true danger. This type of delusion is leading to another panic. The left is now obsessed with transgenderism. The panic on the issue is absurdly overblown. Trans people have existed in the U.S. for decades. But it’s only now the left is looking to push the agenda onto children. Conservative actor James Woods was one of the few in Hollywood to speak out against the transgender mania. The truth is the transgender movement looked to gain a foothold for a long time. The left won’t admit it, but many feminists are not fans of the trans movement. Dr. Michelle Cretella of the American College of Pediatricians even gave Trump credit for his position on the issue. Dr. Cretella was pushing back against a New York Times hit piece aimed at Trump. That would mean there is no longer a legal definition of man or woman.“That is female erasure by definition,” she concluded. Leftists believe they can change reality by changing the meaning of words. And they now have the support of lobbyists and celebrities like Tamblyn.